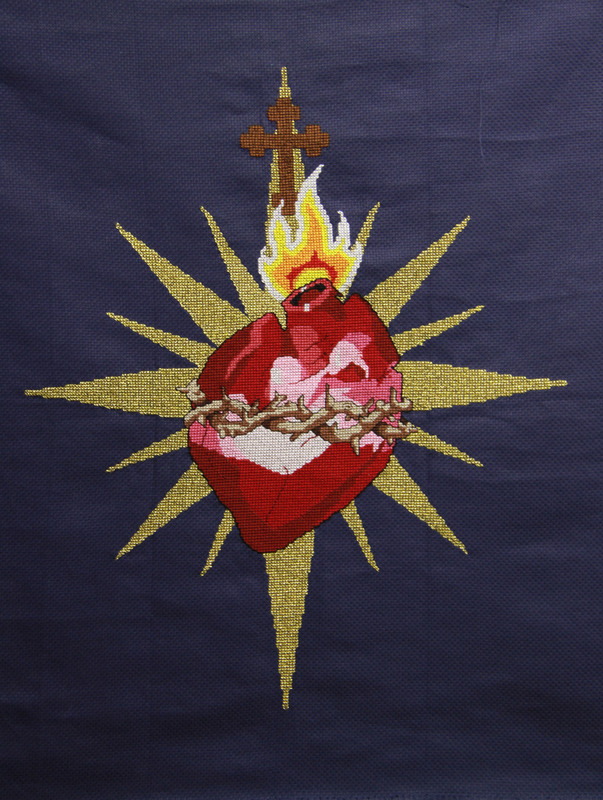 This is a body of work which has emerged from the Catholic Sacred Heart of Jesus and Immaculate Heart of Mary images. 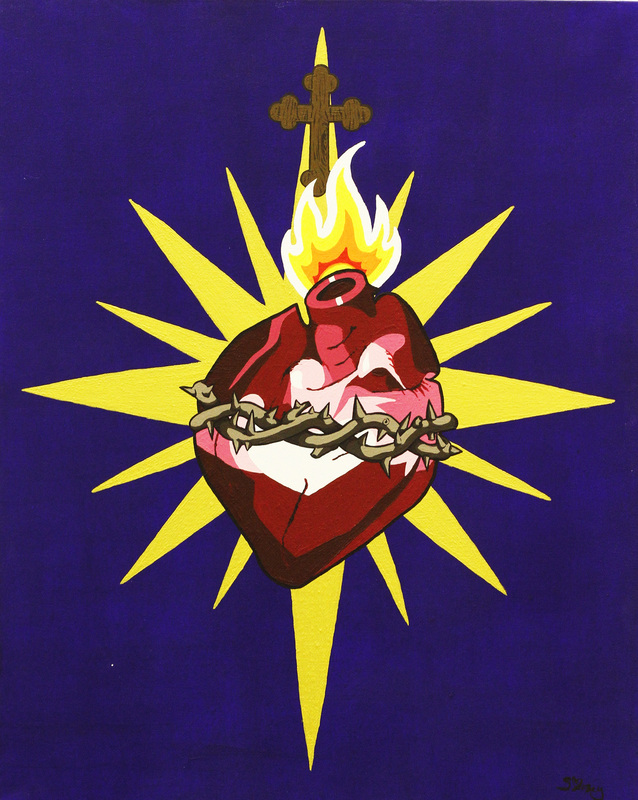 While a traditional Catholic images makes use of a stylised, love heart style heart, these images utilise a more “realistic” heart, subtly hinting to the fact that we are only mortal, and will die without hope of salvation. 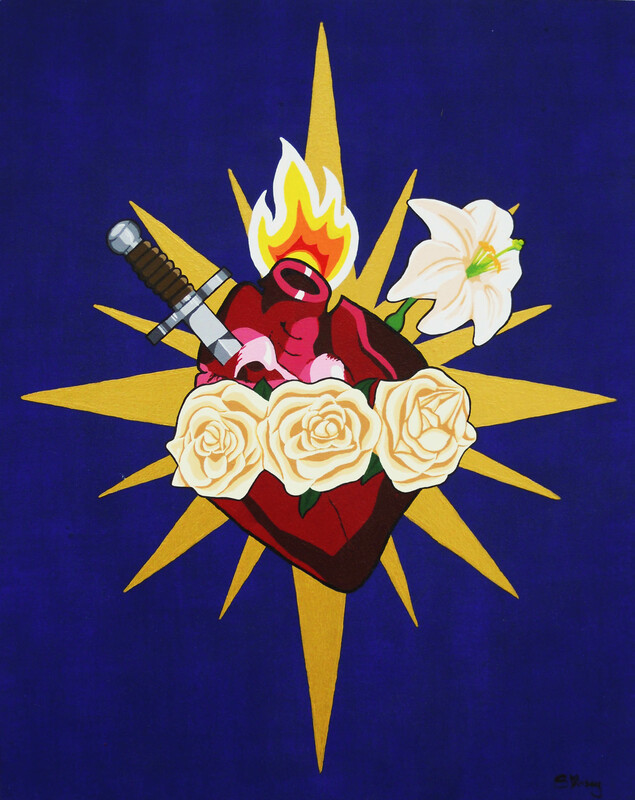 I use hearts in my work to symbolise death, and conversley, life. Based upon a quote by Karl Marx. An autobiographical work, looking back to my early experiences of Christianity at a Methodist School. The plain interiors of the church bored me, and the words from the sermons failed to connect with me. This set of 3 cards are inspired by prayer cards and based upon the things people commonly pray for. A pair of self portraits.